We were at the London Critics’ Circle Film Awards at London’s May Fair Hotel tonight and stars including Timothee Chalamet, Armie Hammer, Florence Pugh, and Hugh Grant hit the red carpet. See my pics inside! Liam Neeson has become synonymous with kickass action films since the success of Taken, and The Commuter is exactly what you would expect from Neeson and director Jaume Collet-Serra, who previously teamed up on Non-Stop and Unknown. Period dramas generally aren’t my bag which is why I didn’t see Lady Macbeth at the London Film Festival. But I kept hearing rave reviews so I thought I would give it a go and I was really impressed. Last night I went to down to the Mayfair Hotel in London to cover the London Critics’ Circle Film Awards and I must admit I was slightly disappointed with the line-up simply because I was expecting one of The Revenant cast to be there, or at least a few more global stars. Odd is the best way to describe The Falling. So weird that I didn’t like it. I’m all for independent cinema but I found this quite hard to access because you just did not understand what was going on and it just all seemed so bizarre. 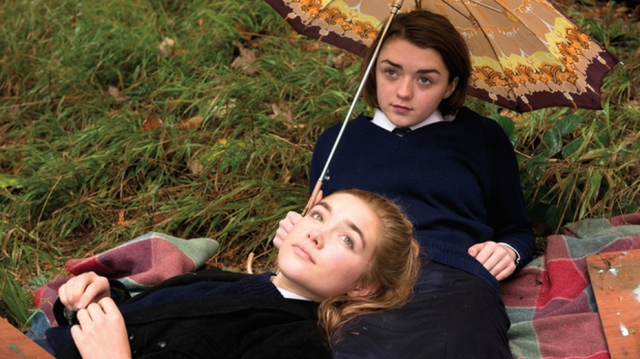 Maisie Williams stars as Lydia, a schoolgirl who is fascinated by her friend Abigail (newcomer Florence Pugh). Abigail falls pregnant and begins fainting, and soon her closest friends experience mass hysteria in the form of fainting and the school has no idea how to stop it.